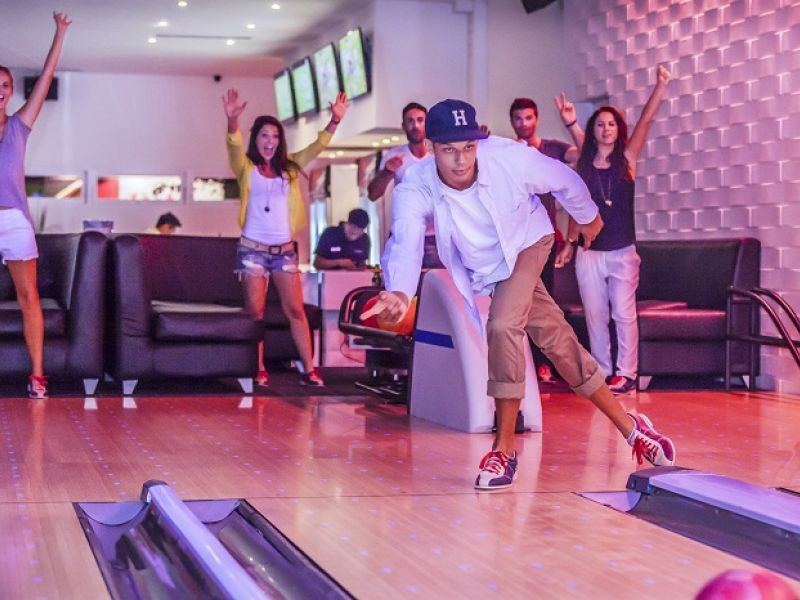 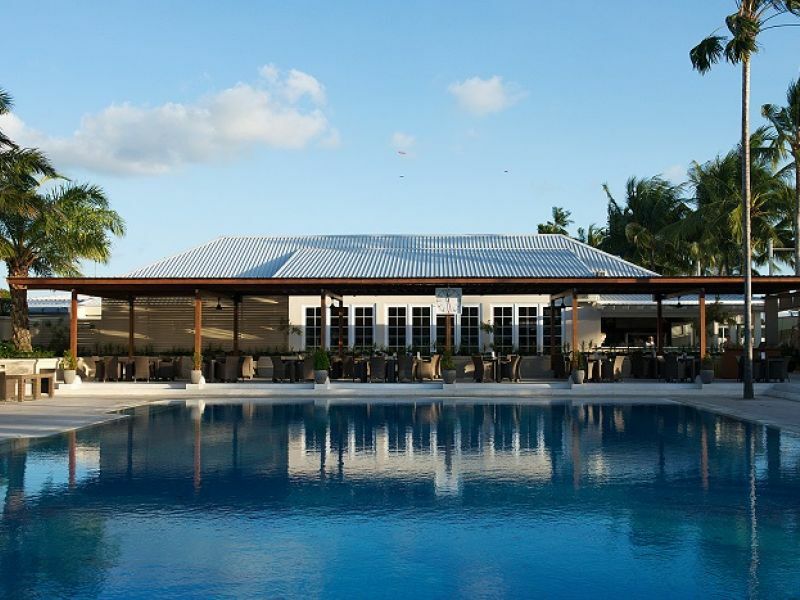 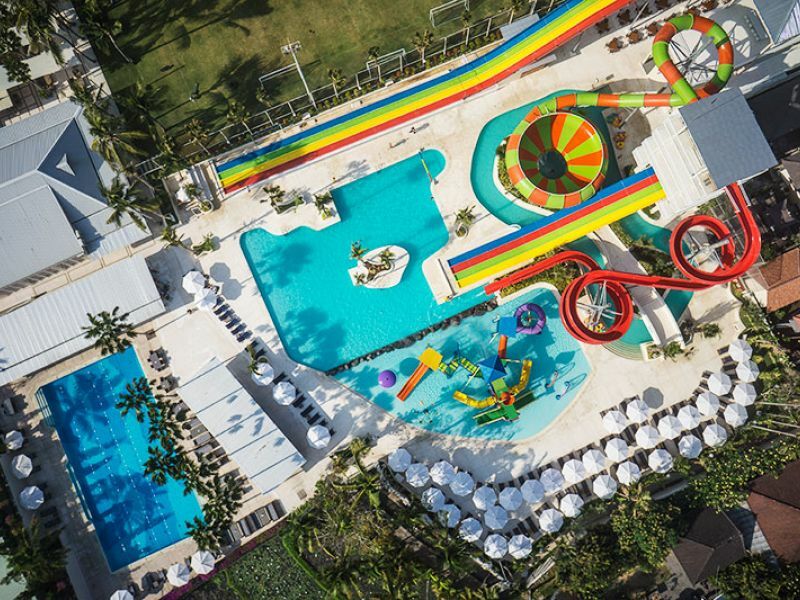 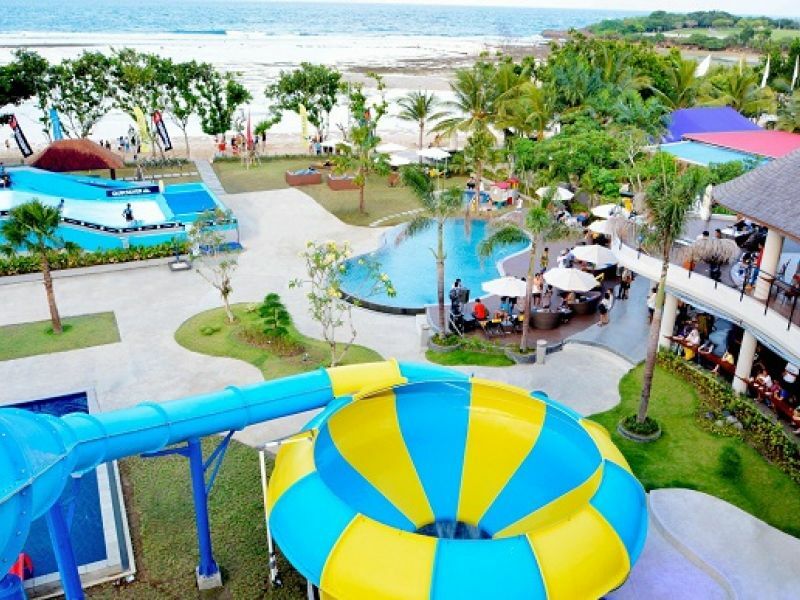 Located at the popular Canggu Club, this unique air-conditioned facility has been designed and created for one purpose – to have FUN! 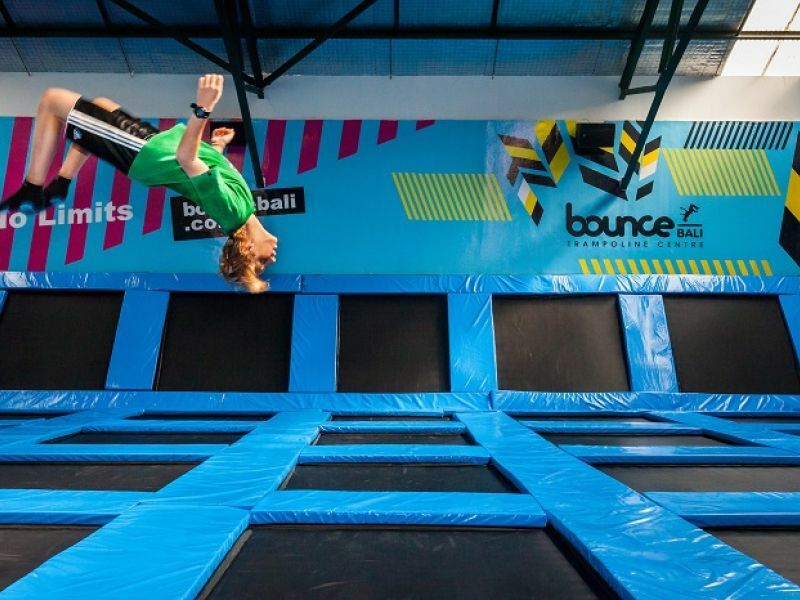 Unlike home trampolines, Bounce has a specially designed, spring-loaded frame allowing you to bounce higher. 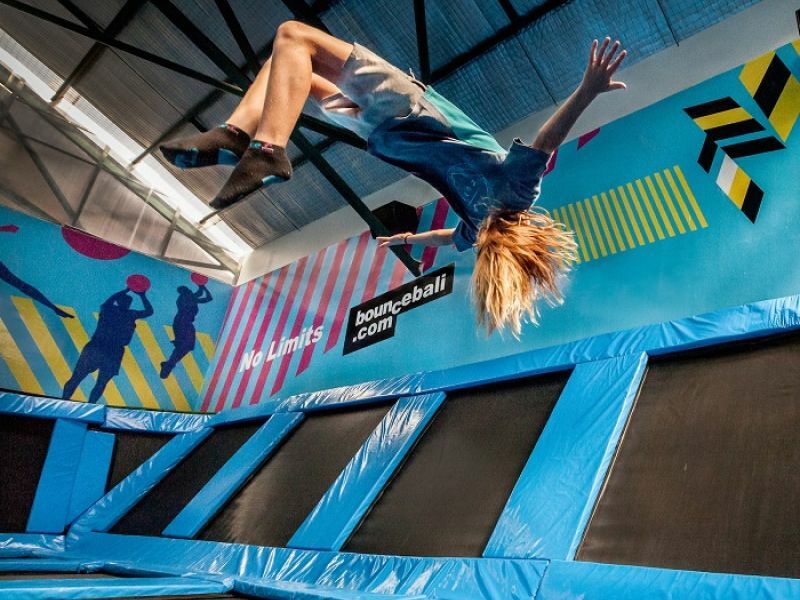 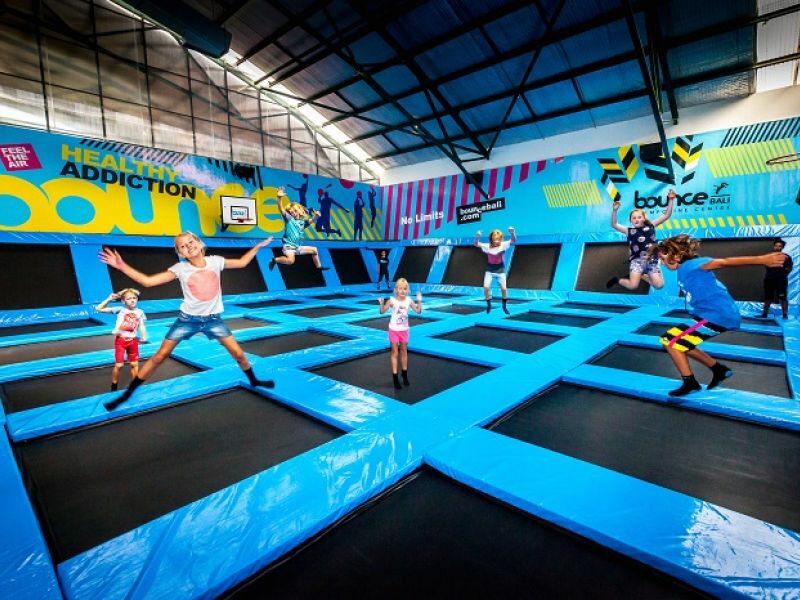 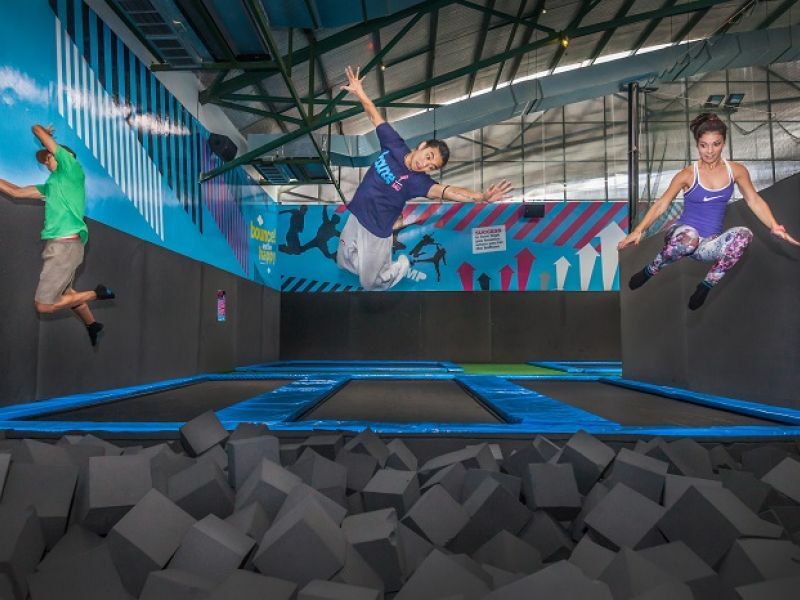 360 degrees of trampolines there is no place like it in Bali. 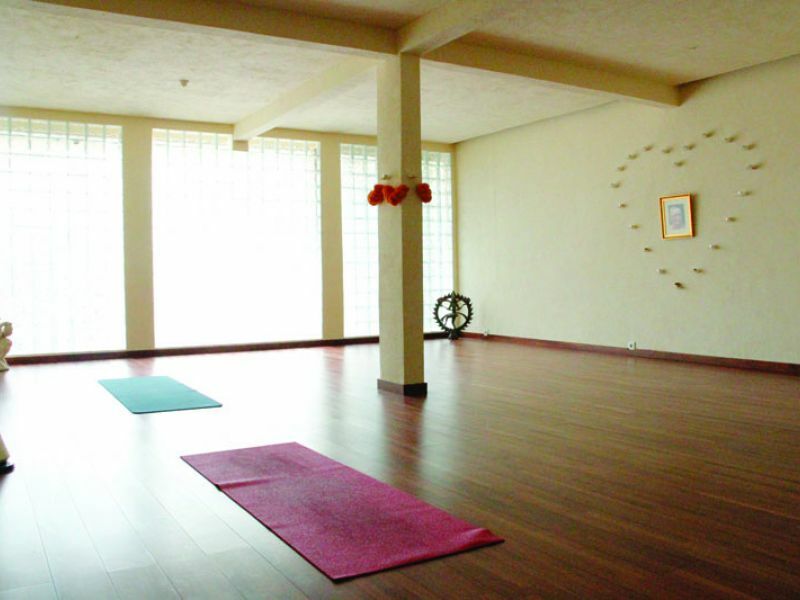 All frames and springs are covered by 2-inch thick safety pads. 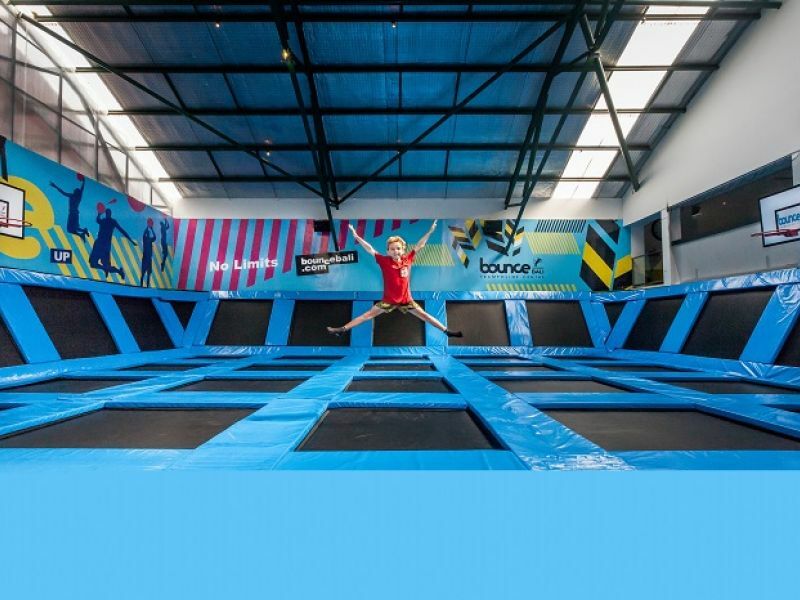 As long as you like to bounce, Bounce Bali is for you. 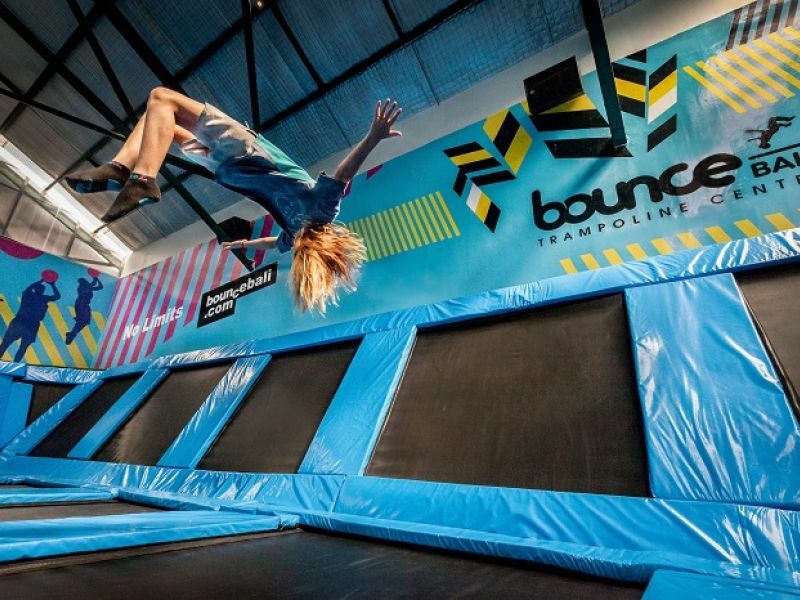 Flip forward or flip backward, you will definitely flip out for Bounce Bali! 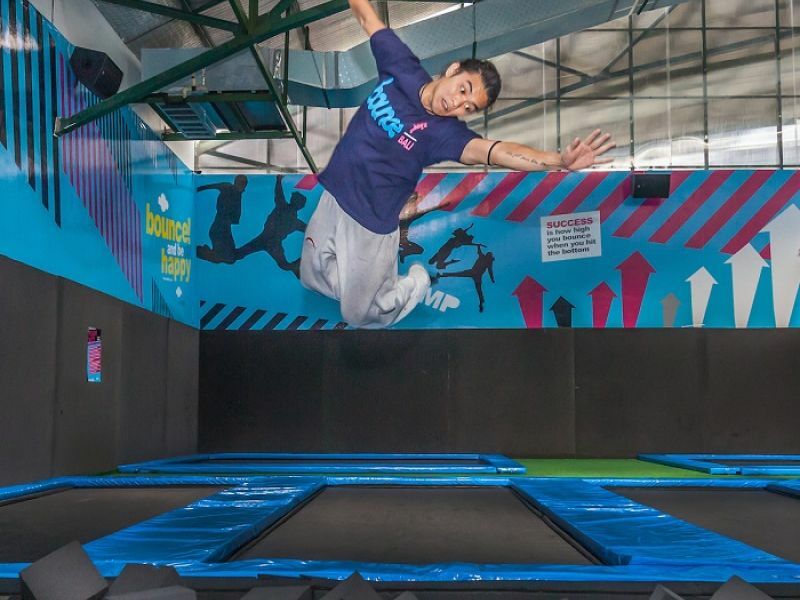 You can free- bounce and practice tricks all day, or you can join for organised activities like trampoline dodge ball or basketball. 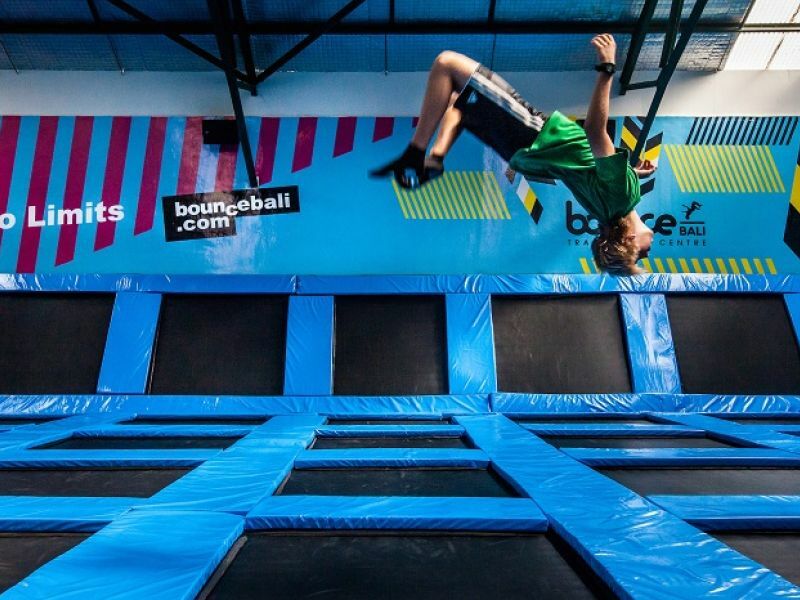 Bounce Bar & Café offers elevated views of the entire trampoline center. 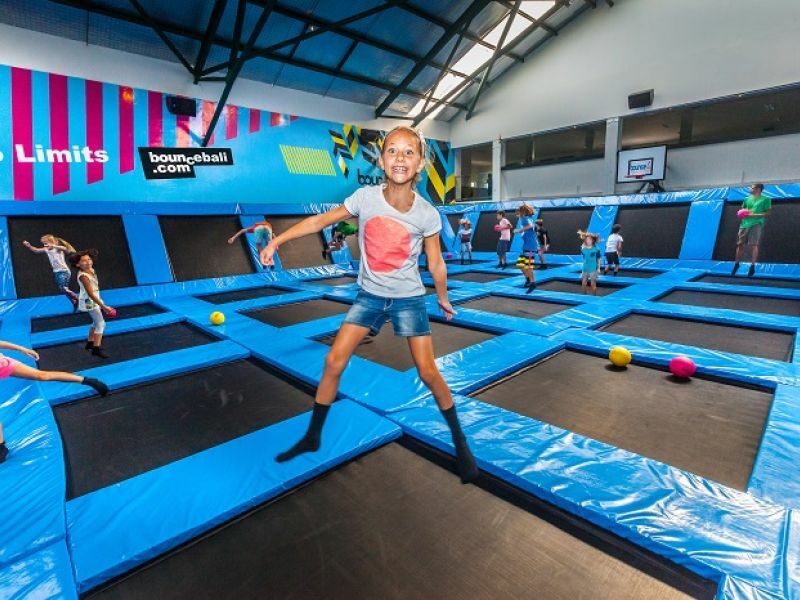 The delicious menu for kids and adults is sure to satisfy those who have worked up an appetite bouncing or those who are soaking up the view and the energetic atmosphere.